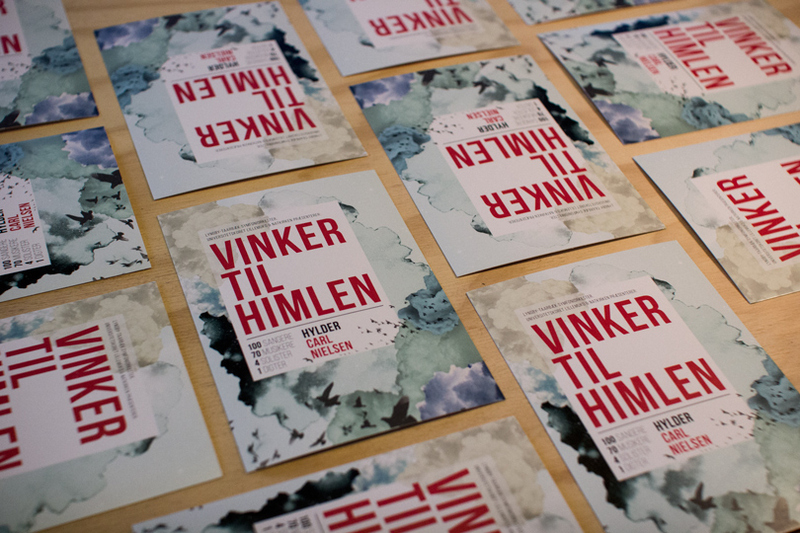 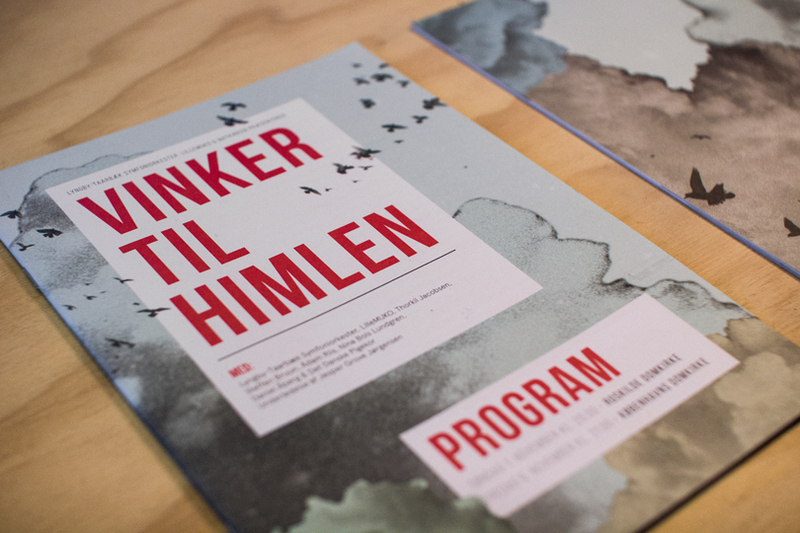 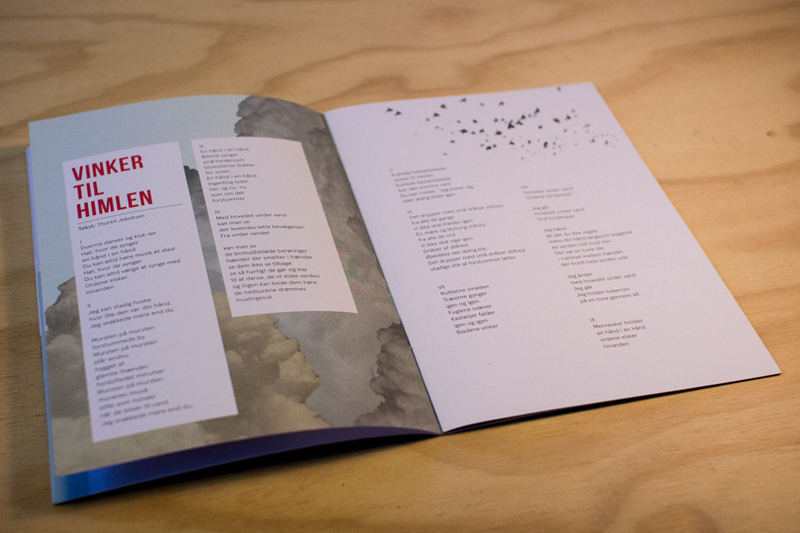 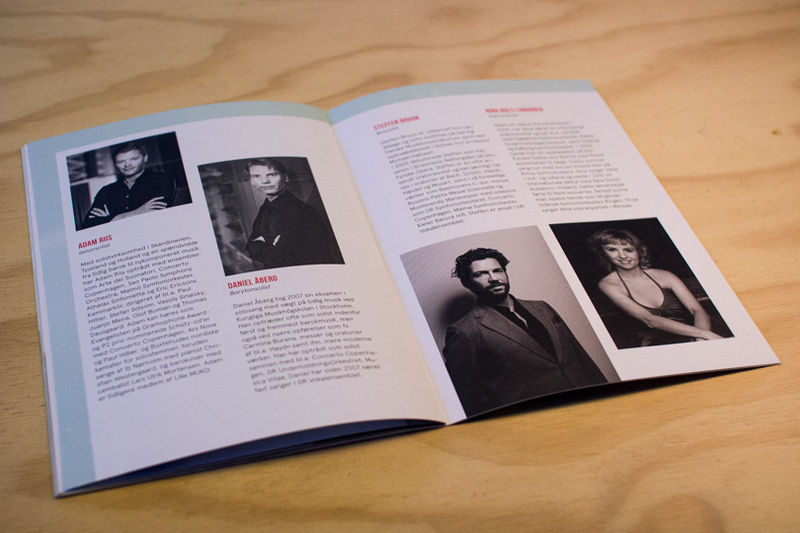 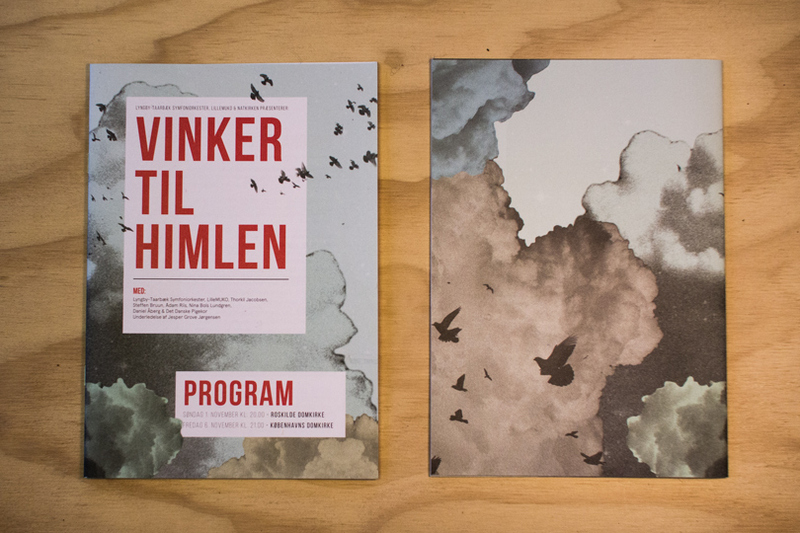 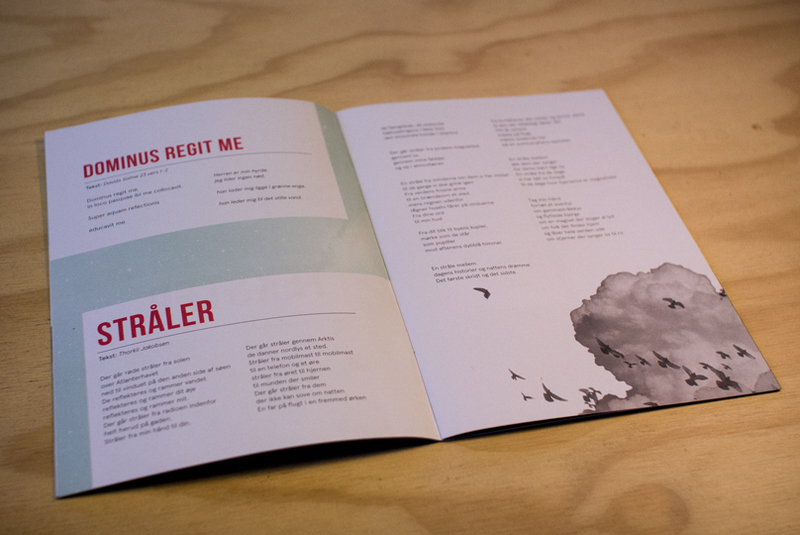 I designed the material for a concert called “Vinker til himlen” (Waiving to the sky). 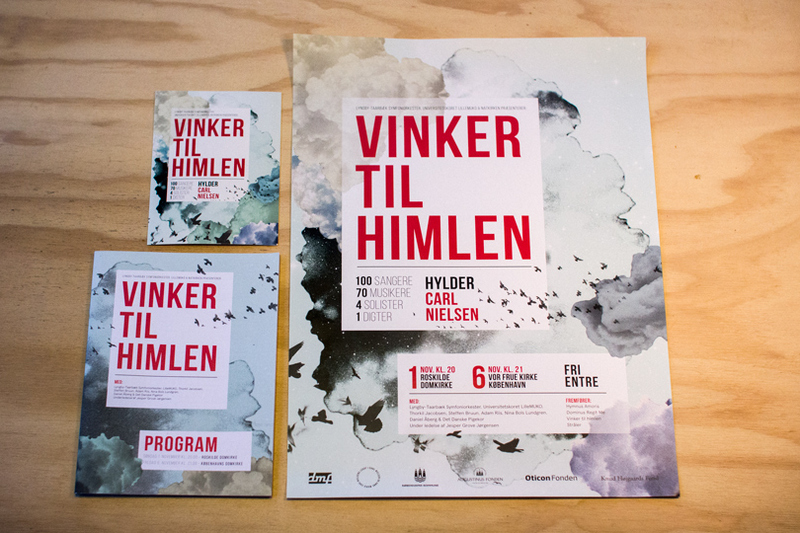 It was a part of the 100 year celebration of the danish composer Carl Nielsen. 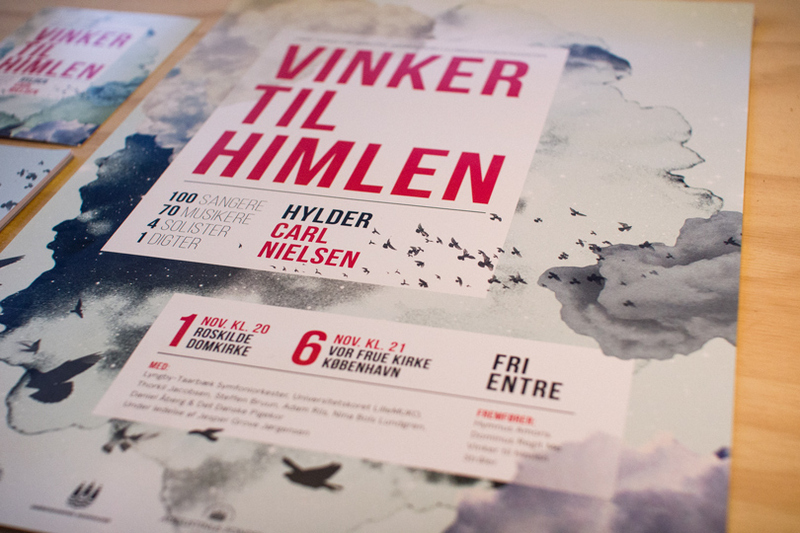 The concerts contained both some of Carl Nielsens music as well as two newly written pieces. 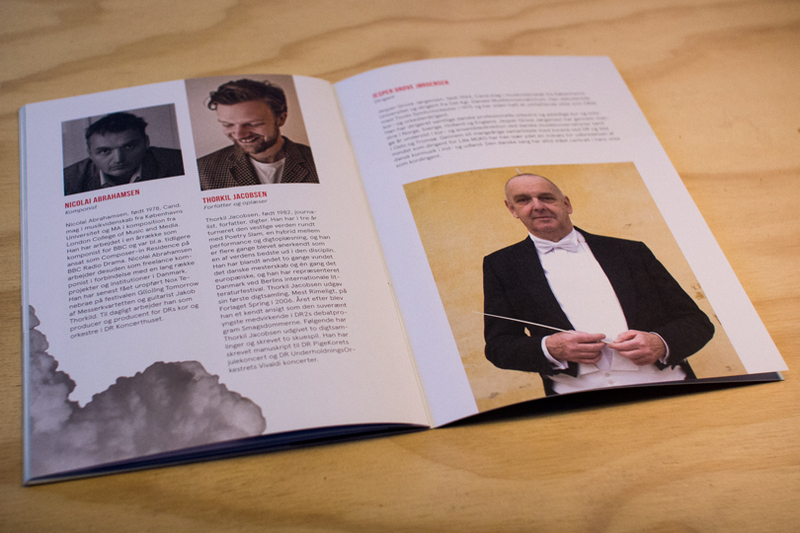 The music was performed by a symphony orchestra, quire, 4 vocal soloists and one poet making it almost 200 people on stage.